Last week I was one of the many million people who rushed to the local movie theater to see the Disney remake The Beauty and the Beast. I never go to the movies unless it’s something I really want to see. And this was that something. It was worth all those ten euros taken from my miserable student bank account. I was by far the most excited person in the theater, yet I wasn’t the youngest. Why? For a start because I, like most of you, grew up with Disney movies. Literally, there wasn’t much else out there but those worn out tapes. Another reason? It’s a movie. So much more real. And let’s not forget Emma, another birthmark of our generation, who grew up with her since Fluffy and the trapdoor. So, to cut a long story short: it’s a classic Disney movie, re-proposed in an innovative way. It was even banned in Malaysia for a (suspected) gay character! But is it really innovative? The answer is no. But let’s first go back to the beginning. 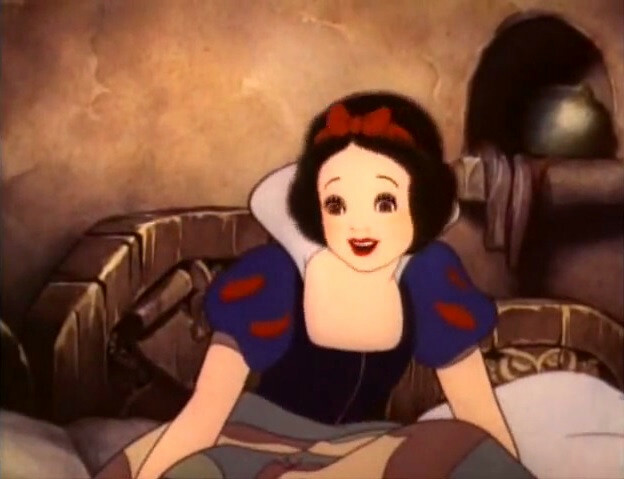 Walt Disney history began exactly 80 years ago with Snow White and the Seven Dwarfs. Classic Disney story line: a pretty and innocent girl, an ugly witch and a charming prince riding a white horse. No goals, no dreams. Just a singing pie-maker waiting for true love. They fall in love without even meeting and then she becomes a princess. THE END. In the following 60 years, things did not change much though. We have Cinderella, The Sleeping Beauty, Dumbo, The Lion King and many others. While the stories and techniques changed, the main female characters remained pretty much the same: charming, not very interesting in the world’s affairs and waiting for a prince. In fact, it’s only with Mulan (1998) that things change a little. In this Disney movie, the main character is a heroine (not a princess!). Mulan is a young Chinese lady, not very gracious nor waiting for true love, but mainly concerned about not disappointing her family. But she has no dreams of her own, does she? In the end, she needs to become a man in order to prove she’s worth more than a good cup of tea and three poems. And here come many little girls who were given a choice between being a princess or having to become a man. Not good Disney. Finally, in 2009 Walt Disney cranked out something new: The Princess and the Frog. Tiana is a young woman from a poor family with a big dream. She wants to open her own restaurant: Tiana’s Place. Even though there is a prince in the story, our princess-heroine has a goal and she works hard to get what she wants. She is the strong confident and independent woman we need as a point of reference. So it looks like we are progressing in some way. Progress which is confirmed by Moana. Here we have a princess-like character, yet no prince. Moana is young and dreams of the sea, but she is forced into taking her role in guiding the community. She nevertheless embarks on a great adventure to save the world from this darkness overtaking all living creatures. Moana also gets one extra applause for treating an important issue: the bad influence of mankind on nature. So it looks like there is a tiny bit of progress in every new Disney movie, but that our beloved California-based company cannot put all dots together and produce a proper progressive movie. The princesses’ problem is, as a matter of fact, only the tip of the iceberg. If we consider the fourteen most popular princesses and look closely at them we realize that we are still very far from any children’s revolution. The first striking fact we must face is that only one of them is indeed working, namely Tiana. All of them are of royal status, born or married into, but Mulan. Second big punch in the face: Mulan and Jasmin are the only characters to wear pants at least once. All princesses figure in dresses and don’t wear short hair. “Oh, why would they? Long hair is so feminine!”. Right. Third disappointment, they are all skilled in things like sewing, cooking or singing. All stigmatized women’s tasks. What a surprise. Finally, most Disney princesses are white. Among our beloved fourteen, only five do not belong to such category: Mulan, Jasmin, Moana, Tiana, and Pocahontas. Of these five characters, only two have interactions with white people: Tiana and Pocahontas. The latter is, as we know, depicted as a savage and someone very far away from us, both historically and geographically. Tiana is black and has interactions with white people. Her best friend is, in fact, a spoiled rich white girl. However, her mom still works for a white man in a white world and we see Tiana having troubles buying the restaurant because she is a poor black woman. Three qualities that cause more damage than good in this capitalist men-ruled world. For grown-ups, it’s easy to realize that these are only fairy tales. But children have no clue this isn’t real. When carnival kicked in, every girl in my class wanted to be a princess. No exception. For guys it was different, they could be anything they wanted: astronaut, superhero, soldier. There is nothing bad of course in wanting to be a princess, but it should be a choice. And if these are the reference points girls get, how can they choose to be something else? Disney movies are meant to be seen by all children in the world. And all children in the world must be able to mirror themselves in these characters. But they cannot, can they? Again, we cannot deal with equality, unless we first face it in childhood. And hey, childhood starts here.